Winter in Denmark this year is wet, windy and generally not very inspiring, so I dug out some old photos from 2006 when we had snow and ice-covered lakes. 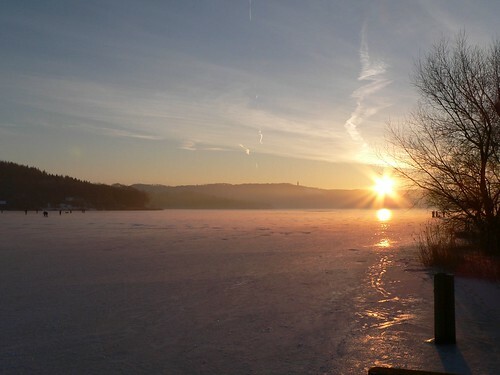 These photos were taken in Laven, outside Silkeborg and quite close to Himmelbjerget (visible in the photo below). Himmelbjerget translates to ‘Sky Mountain’ – which really isn’t a very appropriate name, all things considered. 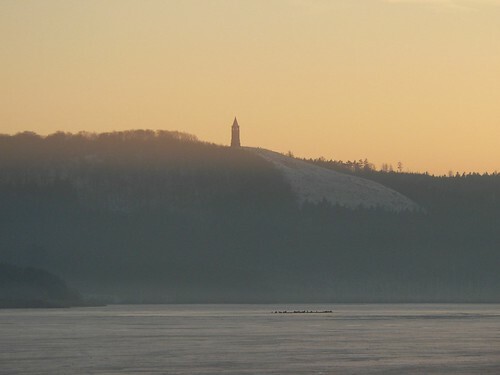 Himmelbjerget, seen from Laven. Photo: TMK, January 2006. 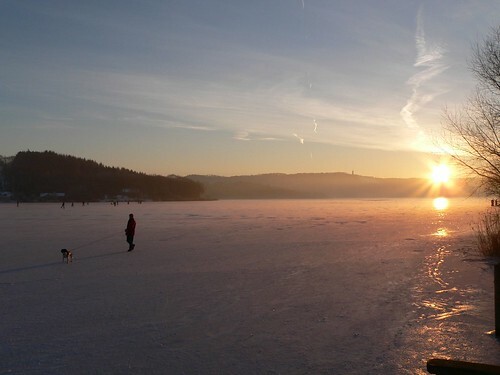 Walking on the ice at Laven. Photo: TMK, January 2006.